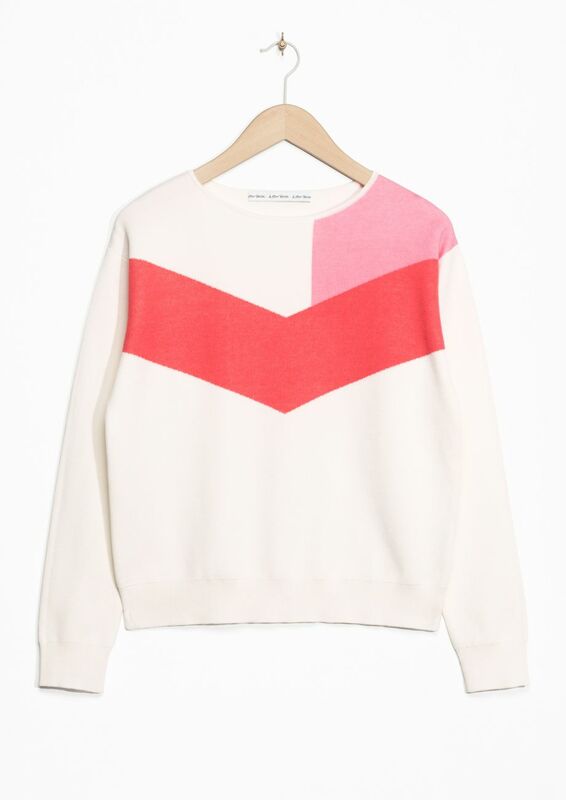 I’ve actually dreamed up my perfect colour-block jumper in my head. It would be some combination of pink and red… or maybe orange and mustard yellow… or army green and baby blue. But none of those seem to exist. 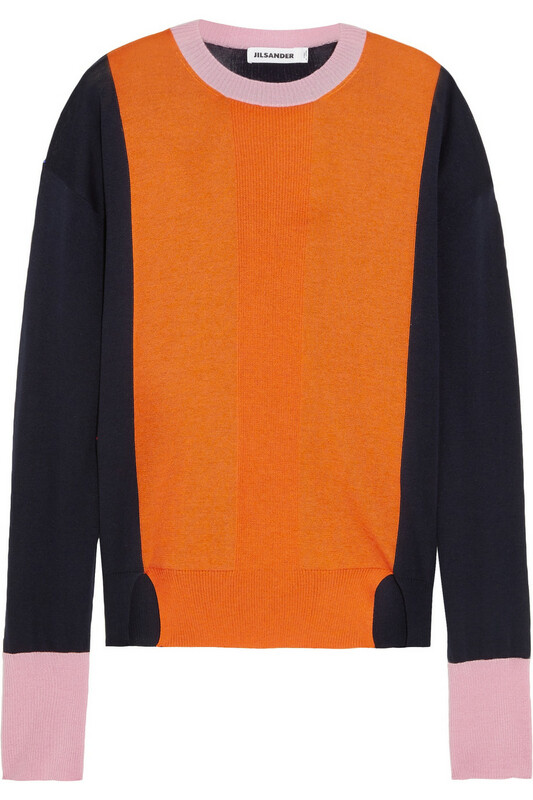 The closest is actually the Jil Sander find at the bottom – but at £570 that’s more an “admire from afar” sort of jumper. 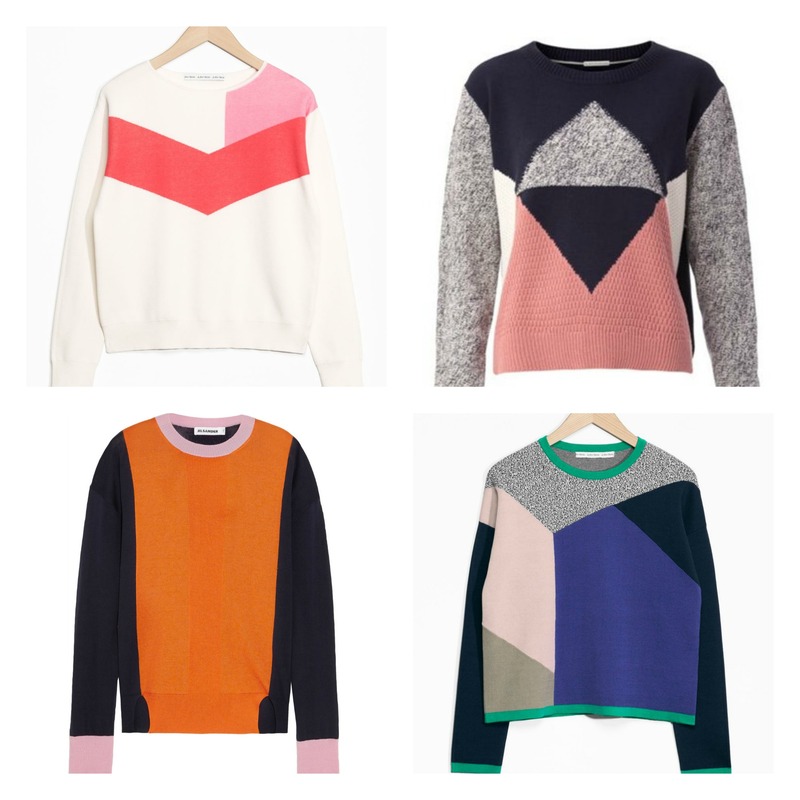 However, I have found a few that are somewhat close my ideal fictional jumper – and that come with a much more affordable price tag. This would have been perfect for Valentine’s Day – but also really cute with distressed jeans for spring. 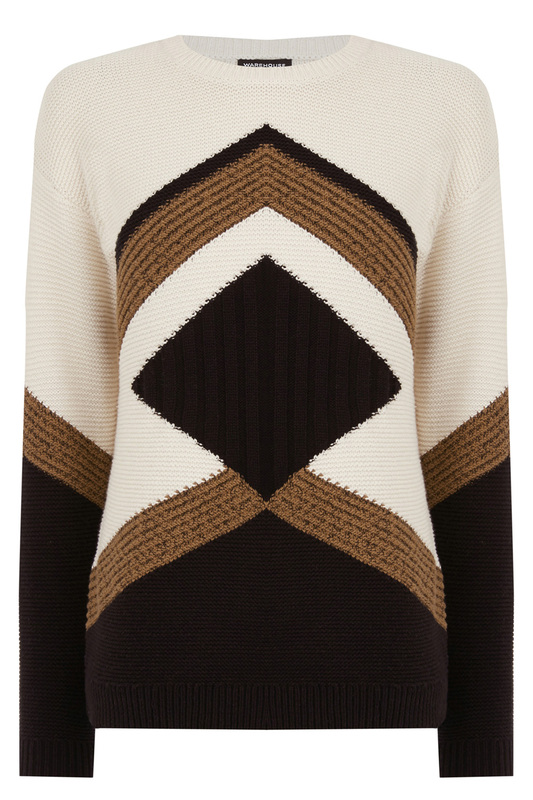 Love the mix of textures on this slouchy jumper. I’d wear it with black leather shorts and ankle boots. 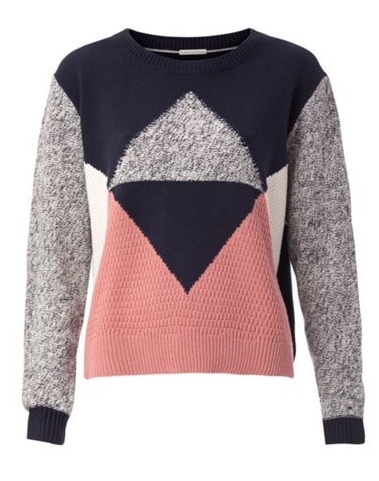 The early ’80s print on this jumper is almost enough to push it into comedy ugly sweater territory – but maybe that’s why I like it. 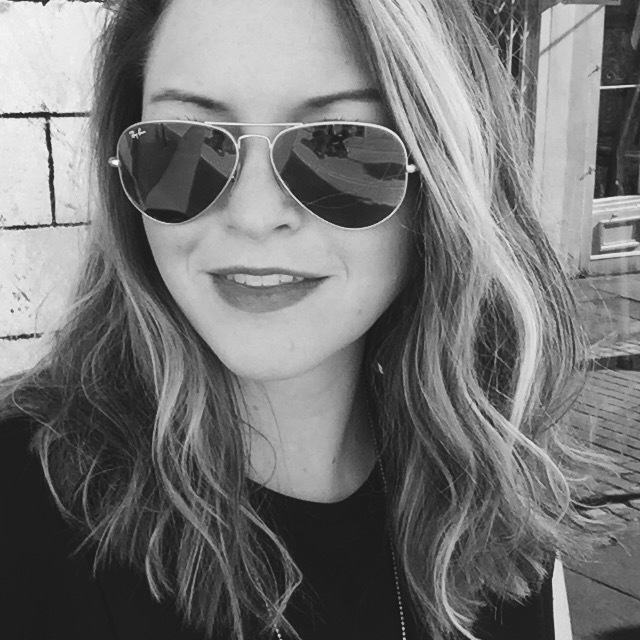 I’d keep the retro look alive and wear it over a black turtleneck. This looks cosy and warm enough to battle even the most arctic office AC units. 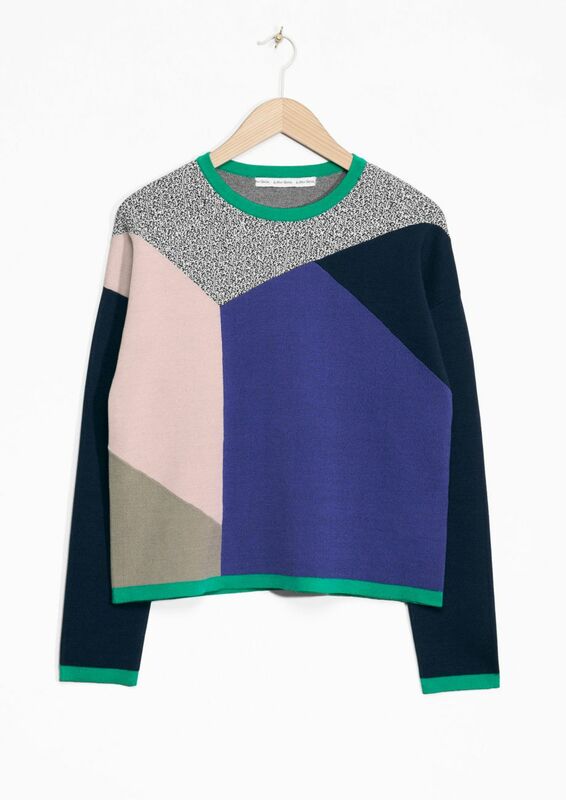 Again, showing the love for & Other Stories here – but they’re really nailing it in the colourful knitwear department. I’d wear this with a black leather midi skirt and white trainers. 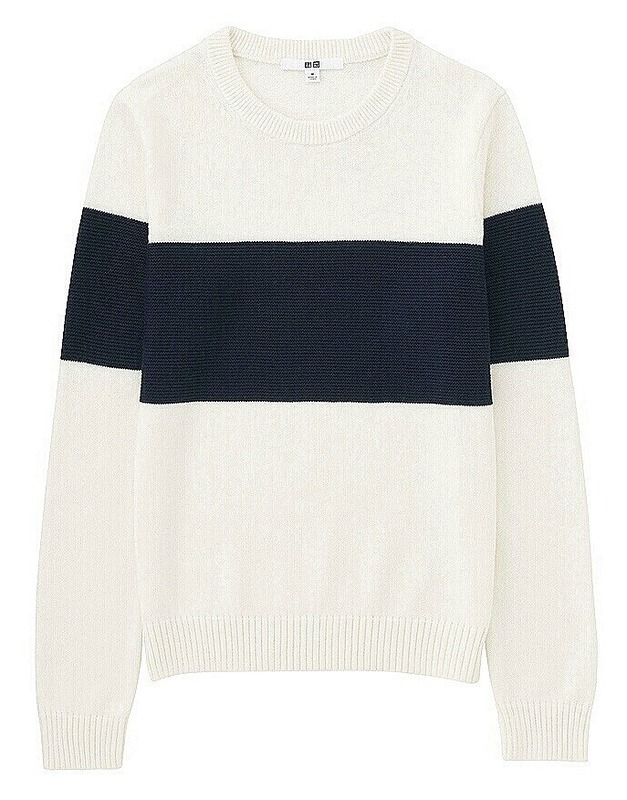 I don’t know if we can really use the term colour-block when the only colours are cream and navy – but I’m going with it because this jumper is really cute and really cheap. 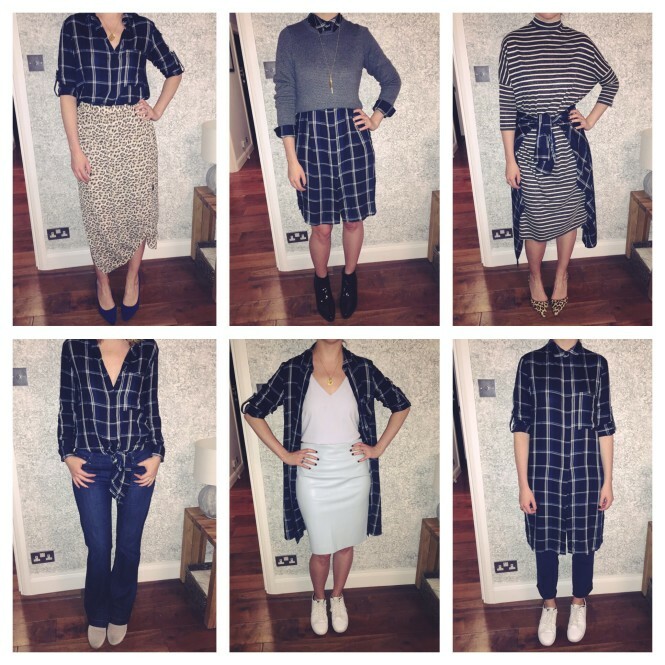 I put the grey version in my Valentine’s Day outfit round-up and I’m sticking with my vision there. 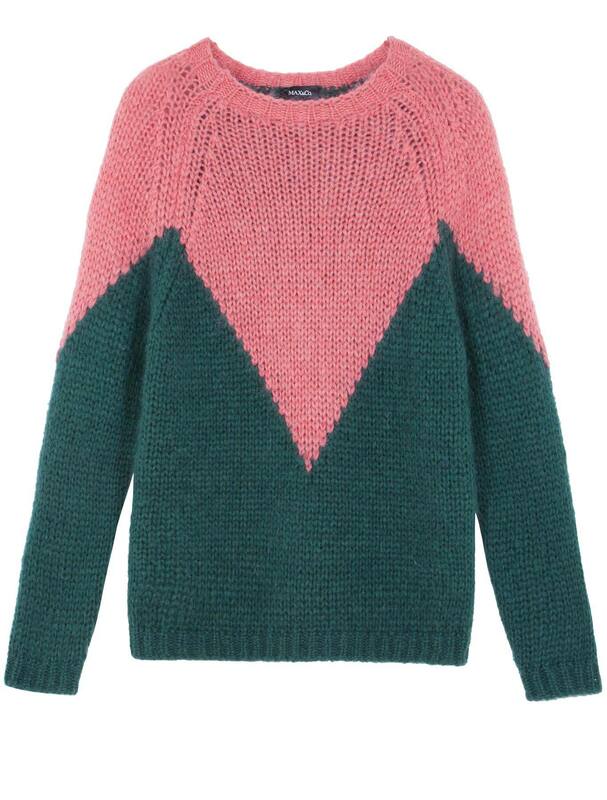 And for those of you who want to blow your month’s food budget on one delicious piece of knit loveliness – there’s this Jil Sander guy. Enjoy. * Sort of. By London standards. My nose hairs do not freeze the second I step outdoors, so the New Yorker in me says it’s actually not that cold.